We are all ONE. Every inhabitant on this Earth is part of it's ecosystem, a member of the same tribe. 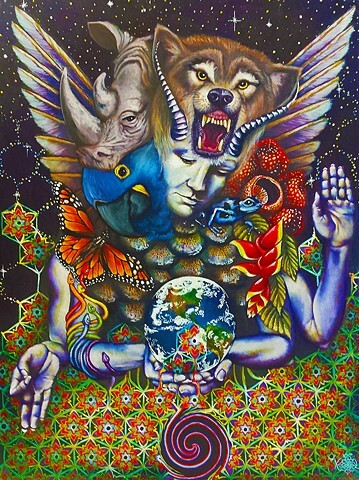 Each of the creatures and plants in this painting is an endangered one, facing the possibility as a species that it won't be around in 100 years. Is this OK? Is this something we can live with? Is this something we can look our grandchildren in the face and explain?